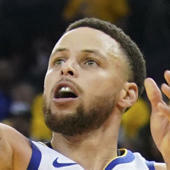 Curry is questionable for Friday's game against the Pelicans due to an upper respiratory infection, Casey Holdahl of the Trail Blazers' official site reports. Curry has come down with an illness, and it's possible he won't be able to play Friday. If he's forced to sit out, Evan Turner could take over some ballhandling duties.